My family is of German heritage and growing up I ate quite a bit of German food. I loved it all, except maybe the Lebkuchen. I miss eating many of the things I remember as a child but unfortunately not many of the recipes can be sucessfully made healthy. 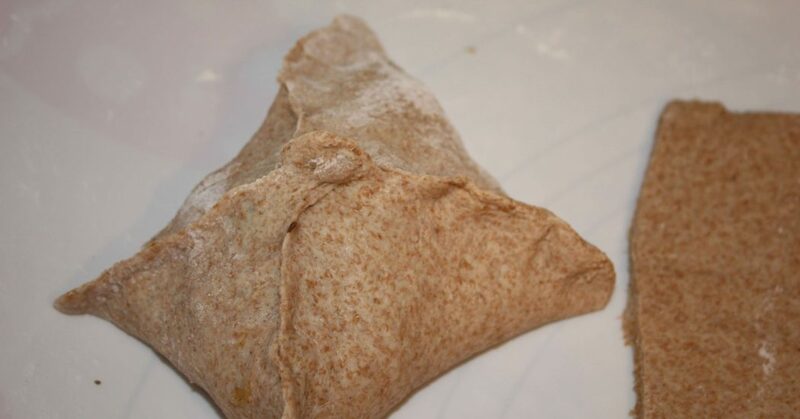 Here is one that only needed a change to the bread dough, using wheat flour rather than white all purpose flour. 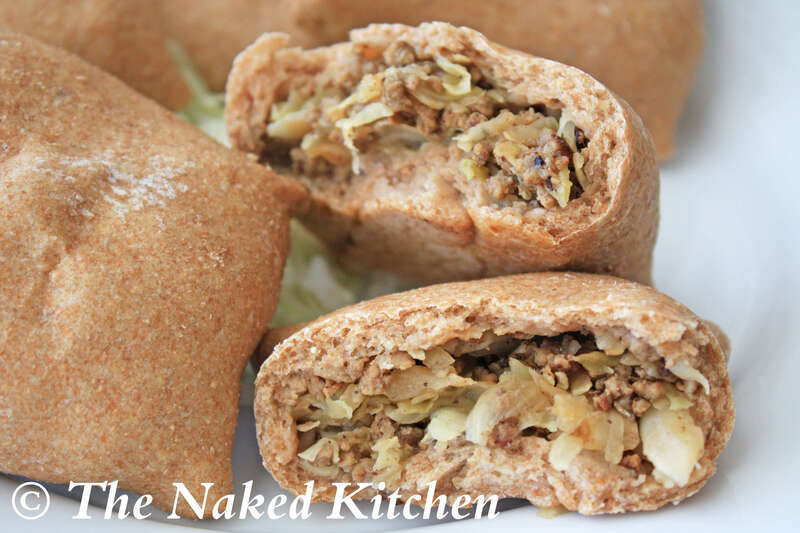 It’s a very simple filling of ground beef, onions and cabbage inside a wrapping of soft bread dough that’s baked until it’s warm and steamy inside. 2. 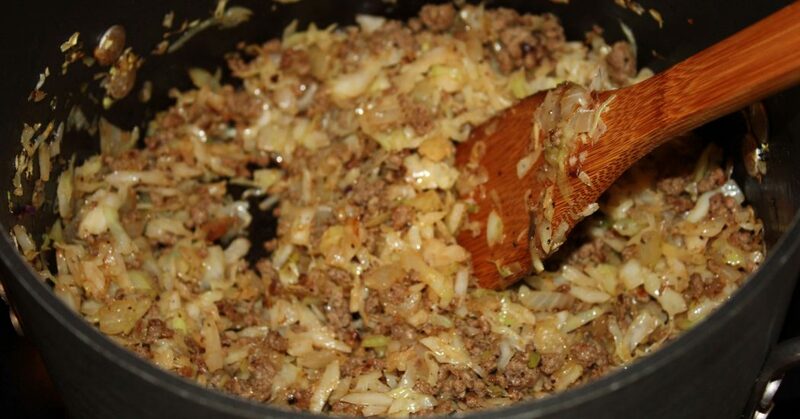 While the dough is proofing and almost ready, start making the filling by heating a large dutch oven or soup pot on medium high heat and brown the ground beef. 3. Lower heat to medium, add the onion and cook until soft, about 5 minutes. 4. Add the cabbage, salt well and season with pepper to taste. If the pan seems too dry you can always add a little olive. Lower heat, cover and cook until the cabbage is soft. 5. 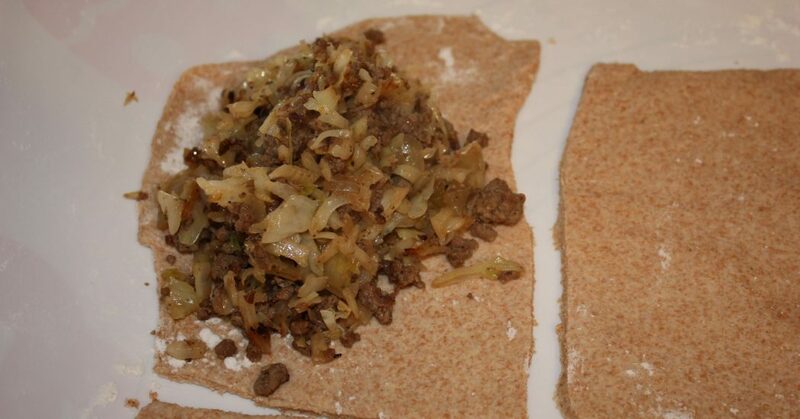 As the cabbage cooks begin rolling out your dough on a lightly floured surface into a rectangle about 1/4 inch thick . I usually work with half the dough at a time but that’s optional. 6. 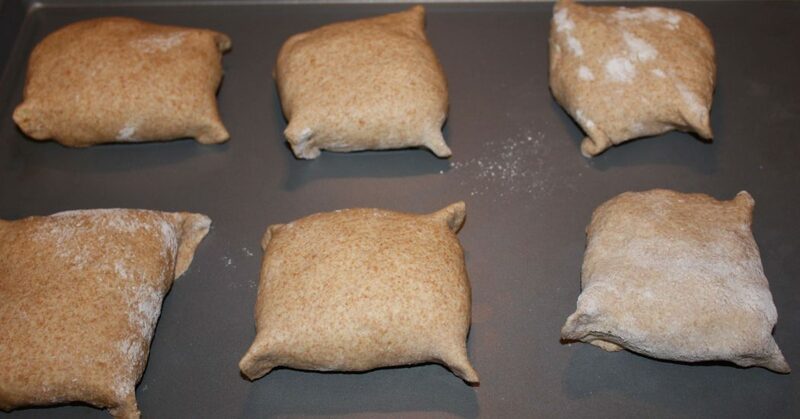 Cut the dough into approximately 6″ x 6″ squares. You might have some odd shapes at the end but that’s ok.
7. Taste test the filling to be sure it is well seasoned, add more salt if necessary. Spoon about 3 tablespoons filling (or as much as you can fit and still close up the dough) into the center of each square. 8. Immediately bring up each corner of the square and press together in a kind of X. Seal all the seams by pinching shut and place seam side down on a baking sheet. 9. Bake about 25 minutes at 350 degrees or until the dough feels firm to the touch. 10. Serve as is. (Some of the people who married into our family top the bierocks with butter or ketchup but they are traditionally eaten plain). Any leftover Kraut Bierock can be store in an airtight container in the fridge. They also freeze really well and you can warm them up in the microwave for a quick and easy meal in seconds. Sorry about that Jeanine. It should include to bake at 350 degrees. I hope you like them. They are a childhood favorite of mine.